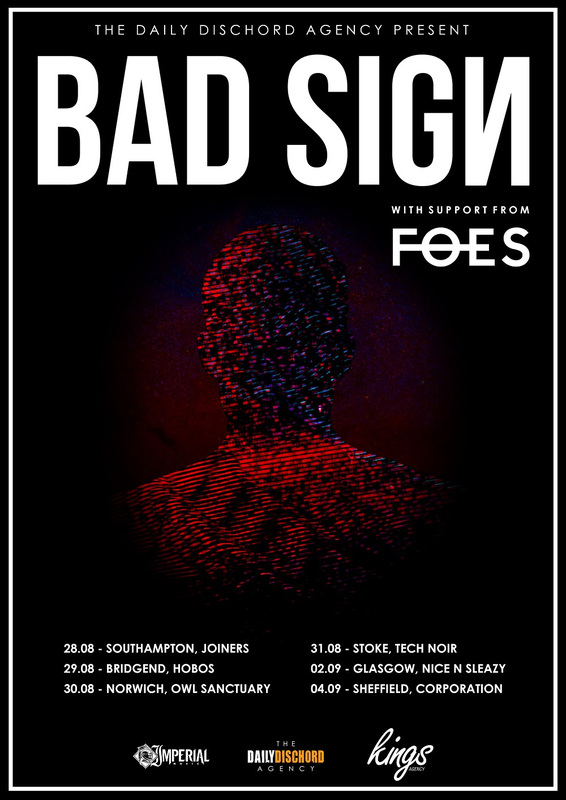 Following a storming performance at UK Tech Metal Fest recently, Liverpudlian rock quartet FOES are pleased to announce that they will be hitting the road with Croydon rock trio Bad Sign in August and September. Their highly anticipated second EP ‘Antecedence’ is out now via new UK independent rock label Crooked Noise Records, and is available to purchase digitally and physically. Already having shared the stage with the likes of 36 Crazyfists, Hacktivist, Press To Meco and The Icarus Line, the band can also cite support from some of the UK’s most influential rock press including DIY, Clash, Rock Sound, Kerrang!, Q Magazine, Upset Magazine and many more. With ‘Antecedence’ looking like the release which could finally see them breaking out onto the national circuit, we’d recommend taking the opportunity to see these grandiose and cinematic alt-rockers in a small space while you still can.